With IF's support, Asociación Civil Centro Esperanza in Chiclayo, Peru, conducts Youth Development Workshops in the District of La Victoria. Their programs serve youth 15-18 years of age who live in one of the poorest sectors of the region of Lambayeque. The program coordinator explains that these teens "have few opportunities in life and are at a permanent risk of drugs, delinquency, street gangs, corruption and machismo." Since its founding as a non-profit civil association in 1996 Centro Esperanza has provided empowerment training for youth, women and social leaders. Centro Esperanza trains boys and girls, youth, teachers, and female and male leaders. They create spaces for dialogue and community mobilization. Centro Esperanza strengthens ethical leadership and active citizen participation in order to promote democracy and holistic human development in the region of Lambayeque and in Peru. In La Pinta, Chosica Del Norte and San Borja, there are inadequate recreational, educational or safe public spaces for children and youth to play and socialize outside of their own households. Youth run the risk of being pressured by their peers to use drugs, drink alcohol or participate in crime or gang activity. The high rate of teenage pregnancies in low income communities is also a major problem that needs to be addressed through project and programs. At the household level, many parents work long hours because they are underpaid and underemployed. They have limited time during the day to take care of and enjoy time with their children. The majority of children and youth have experienced psychological and physical violence within their family network. The lack of access to educational opportunities and parental support reduces children and youth´s ability to lead productive, meaningful, and prosperous lives which allow them to leave the cycle of poverty and contribute to the development of their communities. 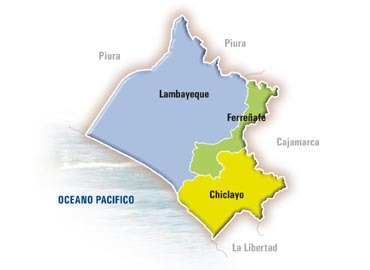 Project Crecer will contribute to empowering children and youth and their families from three low income communities in the city of Chiclayo. The project is based on the awareness that true sustainable community development cannot be achieved without attending to children and youths' needs, interests and priorities. Helping children and youth develop life skills and engage in educational opportunities are important factors that improve quality of life within a community. ﻿Project Report:﻿ the project organized a group of twenty-three girls and boys, ages 13 to 15 years, in a vulnerable peri-urban area outside the city of Chiclayo called Chosica del Norte. Parents have expressed concern for their young people considering the growing rate of petty crime and gang activity organized by youth in Chosica del Norte. The youth group was an opportunity to begin a long term process of empowering marginalized youth as change agents for years and generations to come in Chosica del Norte. Centro Esperanza carried out a participatory needs assessment which enabled facilitators to develop lesson plans and activities. The main goals were to strengthened the life skills of 23 youth while empowering them as leaders to recognize their strengths, creativity and talents. The project provided the youth with a new opportunity to learn, play and socialize with fellow youth. They were empowered to strengthen their life skills such as problem solving, conflict resolution and interpersonal and leadership skills. Family members were supportive and valued the initiative. a) taking action against racism, bullying, and social exclusion; b) social inclusion, cooperation, and teamwork; c) youth group norms; and d) self esteem. The youth were active participants in the workshops and in establishing their group norms. They also organized and participated in a youth group event entitled, "Inspire Yourself". This event had 68 participants, made up of 34 youth and 34 adults. In their year end assessment the project directors noted that the majority of participants had made significant progress in their practice of critical thinking skills, cooperative decision making and teamwork, assumption of individual responsibility for group norms and decisions, and increased self esteem. They also noted that some participants still engaged in discriminatory behavior in their group settings and did not fully engage in the workshop activities. Other obstacles to full participation in the workshops for some youths were work and family commitments. Future plans are to continue to conduct similar youth programs; to connect the Chosica del Norte Youth Group with other youth groups, networks and organizations in order to provide greater opportunities for training and youth development; and to develop activities that promotes parent and community involvement with youth in Chosica del Norte.